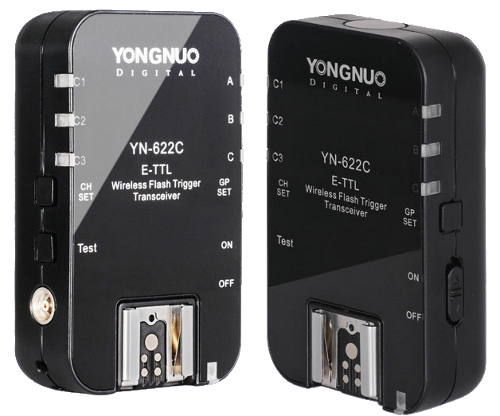 The advanced E-TTL radio flash trigger from Yongnuo, the YN-622C, is now on sale. The pricing is set at $109.99. The advanced E-TTL radio flash trigger from Yongnuo, the YN-622C, is now on sale. The pricing is set at $109.99, making it much better value than the rival Pixel King. The YN-622 offers more powerful features at a lower price. For more information on the YN-622, view our guide here. You can click here for listings. In France they are sold by Lovinpix for €99.